When rebooting with eGPU attached BIOS complains about incompatible USB-C device. I tried updating the TB3 firmware with the utility provided by Gigabyte but it cannot detect the device. Is this possibly caused by using a different GPU? @jc2222 , thank you got your submission. 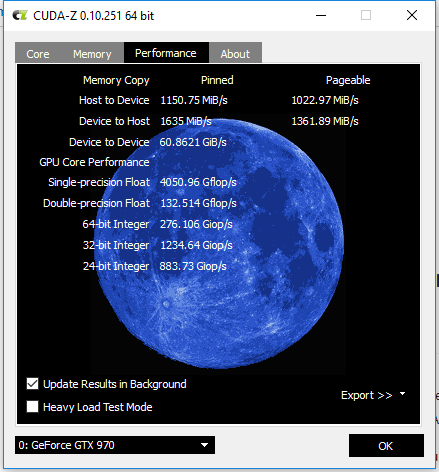 The picture links are broken so cannot see your CUDA-Z H2D values. Did you want to repost them? @theitsage did confirm your XPS 9365 has a 4-lane TB3 controller here so your upper limit would be 32Gbps-TB3 bandwidth. I rehosted the images, updated opening post. My next steps are replacing the GPU fan and looking into a custom enclosure. The cable I have is (I'm assuming) the OEM 0.5m cable provided with the Aorus Gaming box and it does have a 3 printed on each end, indicative it's a 40Gbps cable. 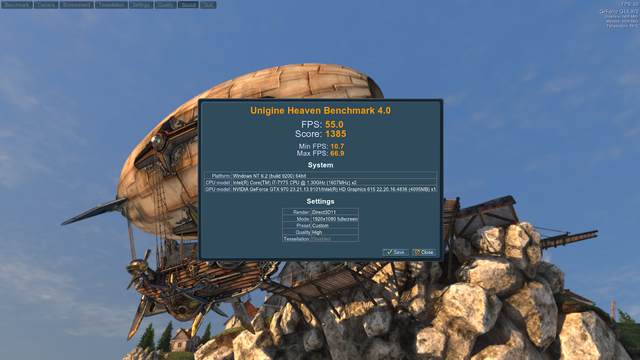 All of the above benchmarks have been with the internal screen and I don't know how much that affects the performance. The lower-than-expected bandwidth numbers are due to the Dell XPS 9365 running a 2GT/s rather than 4GT/s OPI here.